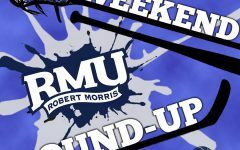 MOON TOWNSHIP — The Robert Morris men’s basketball team (16-15, 11-7 NEC) will host the Cornell Big Red (15-15, 7-7 IVY) in the first round of the CollegeInsider.com Tournament (CIT). 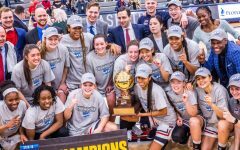 This will be the Colonials second time in the CIT. 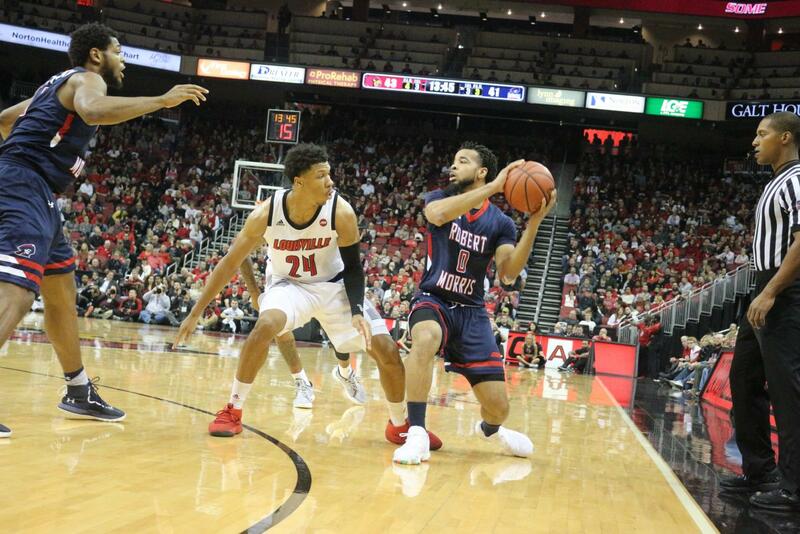 Last time was in 2012, where the Colonials advanced to the semi-finals, losing 67-61 to Fairfield University. The game will be Tuesday, March 18; with tip-off at 7:00 p.m. at the North Athletic Complex. In the NEC Tournament, the Colonials lost in the semi-finals to Fairleigh Dickinson by a score of 66-62. The Colonials were led by Matty McConnell with 17 points and Charles Bain with 10 points. 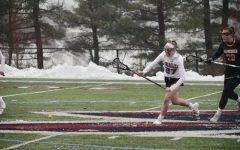 On the year, the Colonials are averaging 69.1 points per game, while allowing 67.8. From behind the arc, the team is shooting 35.8%, and 43.3% from the floor in general. Defensively, the team is averaging 7.2 steals per game and 2.6 blocks per game. The Big Red finished sixth in the Ivy League, and didn’t get an invite to the tournament. However, in their last game, on March 3, Cornell beat Dartmouth 66-51. Jimmy Boeheim, son of Jim scored 21 points in the win, including shooting 90% from the floor. This year, Cornell is being outscored by their opponents 70.4 – 68.7. Cornell is also shooting 43.7% from the floor this year, including 33% from downtown. The Big Red are averaging 5.9 steals per game, and 13.1 offensive turnovers per game. 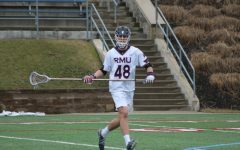 Matty McConnell (RMU): In what could be his last game as a member of Robert Morris, McConnell is one to watch for in this game. McConnell’s game isn’t the most offensive, averaging 10.2 points per game, but defensively, he shines; averaging 3.5 defensive rebounds, and 1.8 steals per game. Josh Williams (RMU): Another senior on the team is Josh Williams. Williams, from Akron, Ohio is the leading scorer on the Colonials, with 13.9 points per game. He also isn’t afraid to shoot up the three-ball, averaging 7.5 shots from behind the arc per game, making 38.9% of them. Jimmy Boeheim (Cornell): Boeheim (yes, related to the legendary Syracuse coach), is one of the leading scorers for the Big Red, scoring on average 11.2 points per game. Boeheim is second on the team with 12 blocks. Matt Morgan (Cornell): Far and away the best player for Cornell is Morgan. Morgan is averaging 22.1 points per game, almost double that of Boeheim. Out of the 30 games that Cornell has played this year, Morgan has led the team in points in 23 of them. In this one, it will be a close game throughout, however, Matt Morgan will come through for the Big Red and give them the edge in overtime, 78-74.